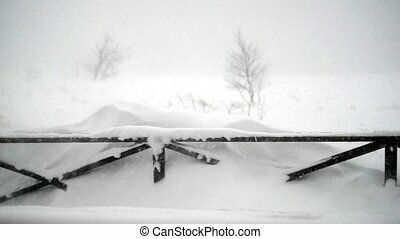 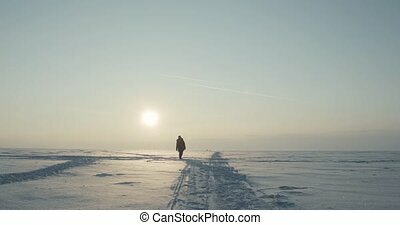 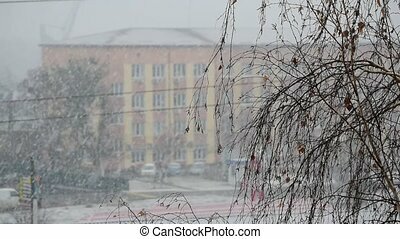 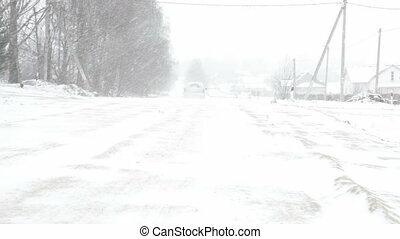 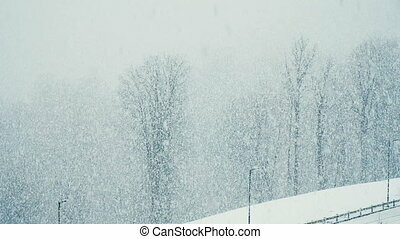 A strong winter snowstorm. 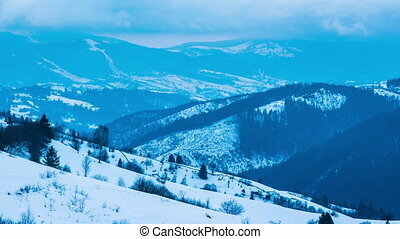 Winter time lapse in carpatian mountains, timelapse. 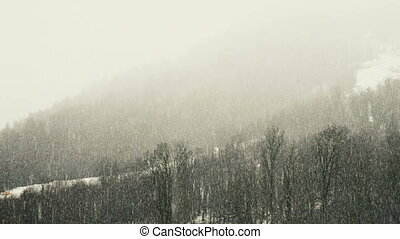 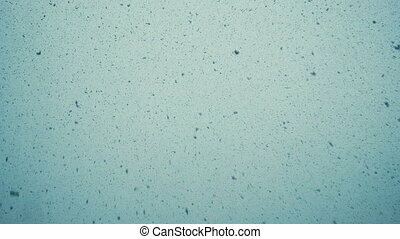 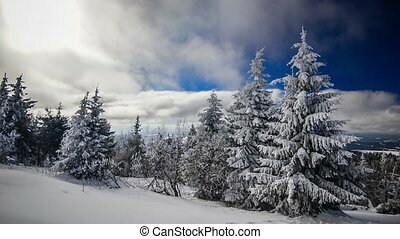 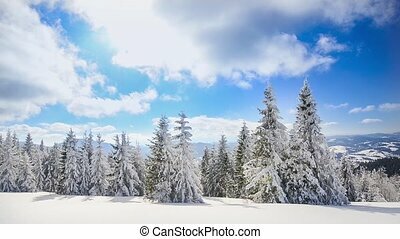 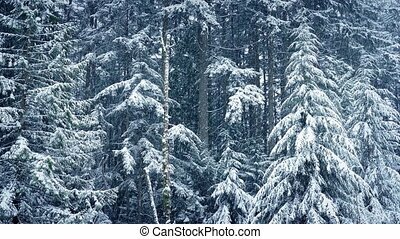 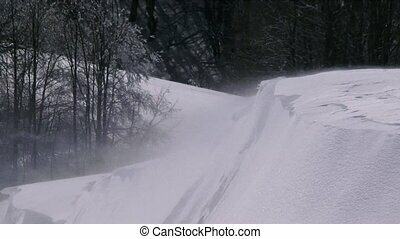 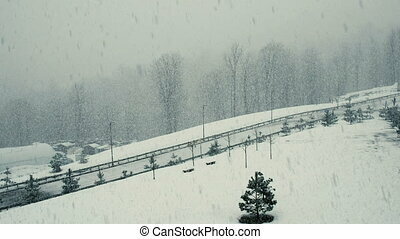 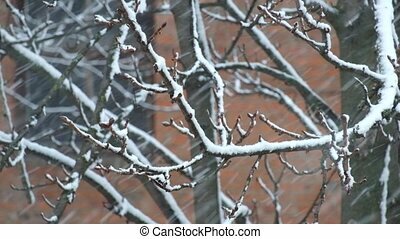 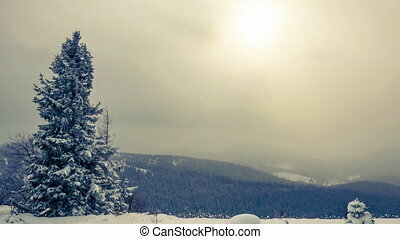 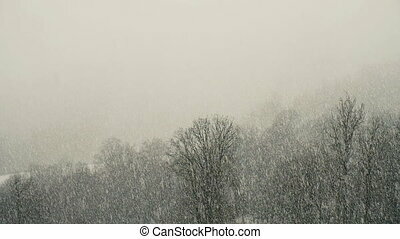 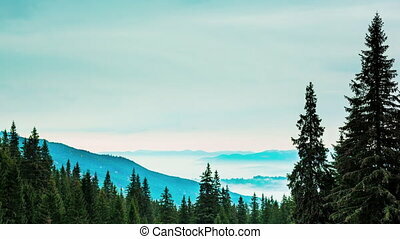 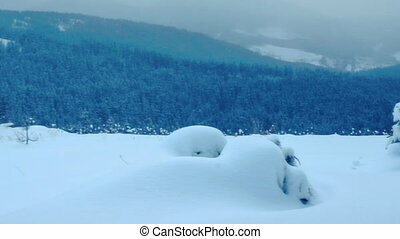 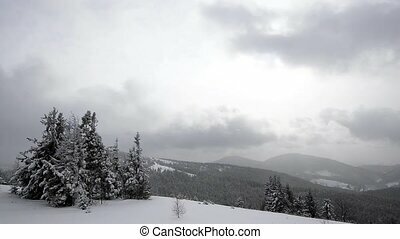 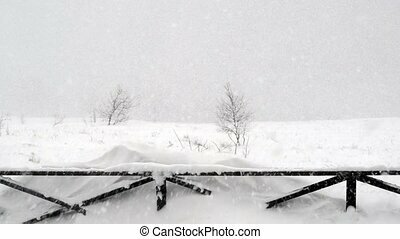 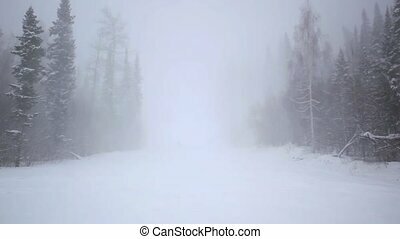 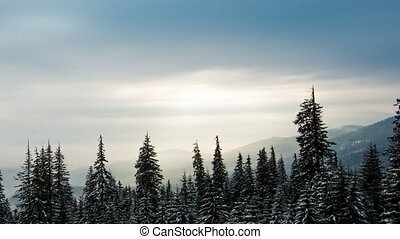 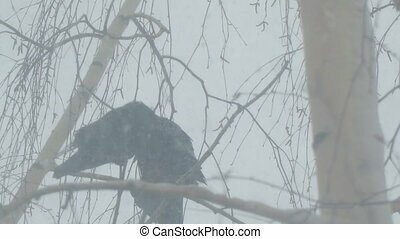 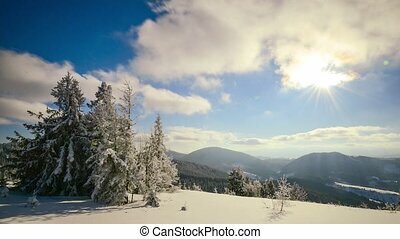 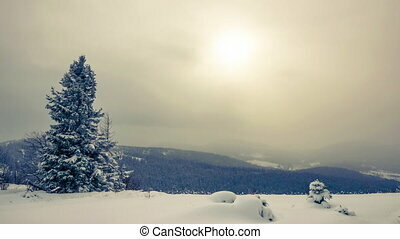 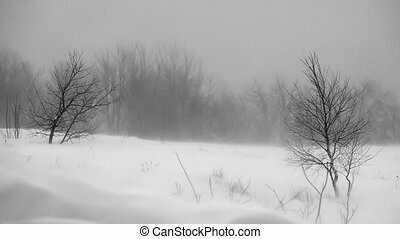 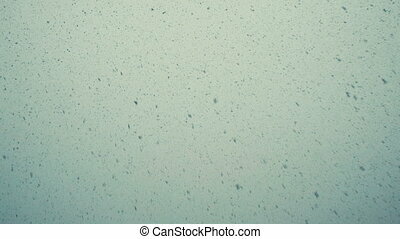 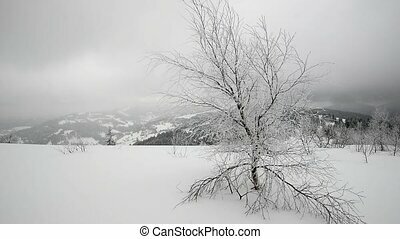 This is a shot of strong snowstorm in the forest. 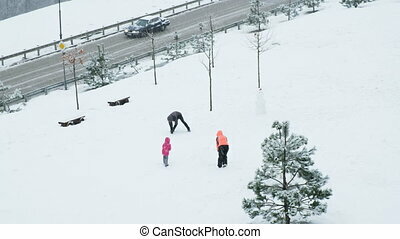 young family with a child playing snowballs near the road, 4k. 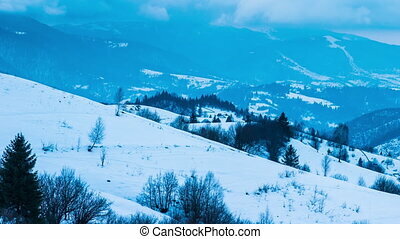 Winter time lapse in Carpatian resort, 4k timelapse, photographed on Nikon D800 camera.